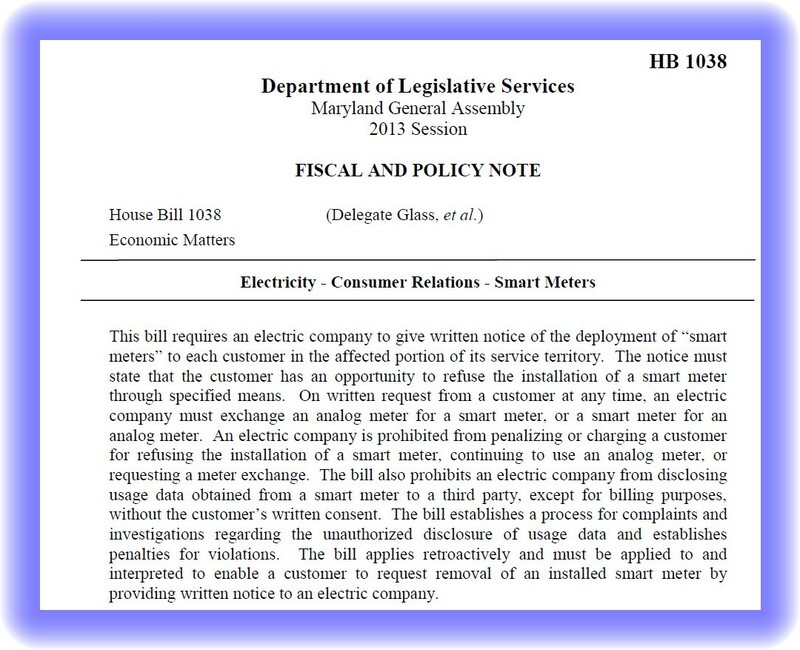 Garic Schoen, a Maryland resident, submitted testimony to the members of the Economic Matters Committee on March 14, 2013, the date of the HB 1038 “Smart Meter Opt Out without Penalty” hearing. Mr. Schoen experienced adverse health effects following a Smart Meter installation, as documented by his doctor and physical therapist. Upon removal, those adverse health effects were substantially diminished. Below is a YouTube video clip version of Mr. Schoen’s testimony. A summary of HB 1038 is displayed below. As of this website posting, the bill is still active but was referred to “interim study” over the summer. This may mean that sufficient votes do not exist to pass the bill at this time. The outcome of the proposed legislation is unclear, but additional public support for the bill within the state of Maryland can no doubt make a difference. 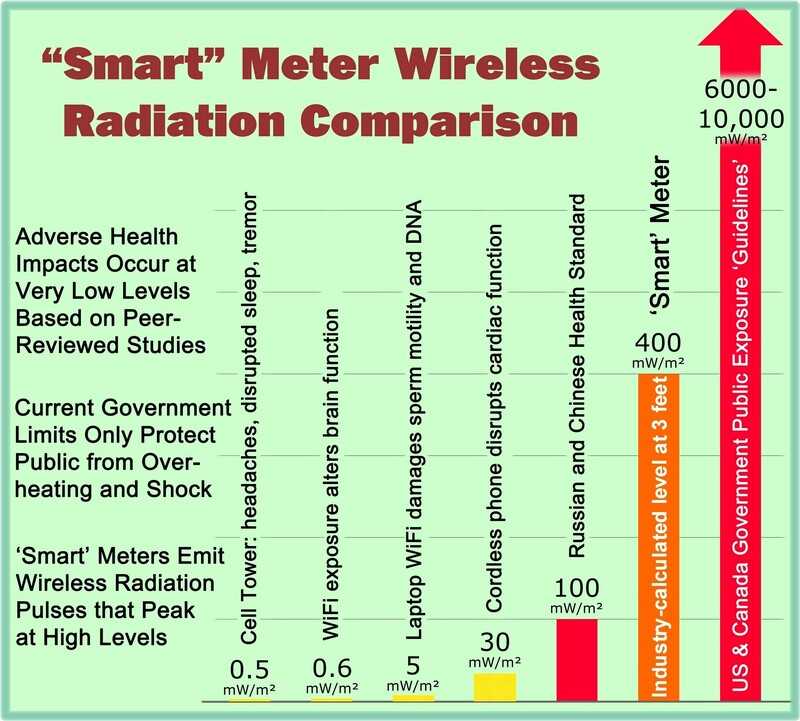 This entry was posted in Smart Grid, Smart Meters, and RF Emissions and tagged Health Effects, Opt-Out, Smart meter. Bookmark the permalink.